O2 To Go has booked the Saba, St. Kitts, St Maarten Liveaboard with Explorer Ventures departing St. Maarten, April 13, 2019 aboard Caribbean Explorer II. Saba, known for its submerged offshore pinnacles, is the 5 square mile top of a dormant volcano towering 3,000 feet above the surface and surrounded by volcanic sand. The abrupt topography above the sea is mirrored below, and the profusion of marine life attests to the early institution of the Saba Marine Park in 1987. St. Kitts offers arguably the widest variety of sites including finger reefs, recent wrecks, and a variety of dropoffs that will capture your imagination. The Northeastern Caribbean is an intriguing area offering a blend of Dutch, British, French and native cultures on some of the most scenic islands of the Caribbean. The Northeastern Caribbean itinerary, combining diving and optional island access, has always been unique within the liveaboard diving industry. As a dedicated dive liveaboard, all diving is done directly off of the vessel, using the expansive dive deck covering the aft third of the main deck. 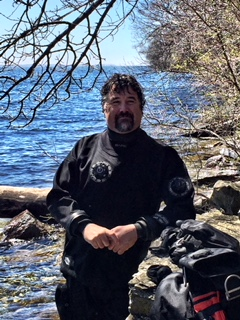 Each diver has his or her own dive gear bin; a large camera table, as well as rinse tanks, wetsuit drying racks, charging stations are available for all to use. Diving in the Northeastern Caribbean will surprise you - it's not mentioned often in the mainstream diving magazines, but the variety of the topography and types of sites that we visit weekly will amaze you! Explorer Ventures is offering a Pre-DEMA Promotion - book by August 15/18. A group of 7 receives free nitrox and 2 free complimentary spots. The value of the 2 complimentary spots is shared by the group of 7, lowering the individual price from $2,095.00 US down to $1,496.43 US per person, based on a group of 7. O2 To Go requires a non-refundable deposit of $300.00 CDN. This can be paid by Cash, Interac or Cheque. If payment is by Credit Card, the credit card service fee will be passed on to the purchaser. A further deposit of $600.00 CDN is due October 1, 2018. Balance/final payment is due February 1, 2019. Please contact Nancy Feng to reserve a spot or if you require more information.